Clean and check 90% Trane furnace. Complete tune up of a Signature a/c system. Signature agreement heating check up on a Trane furnace. Call back no heat repairs. At Boehmer Heating & Cooling, the only thing that we take as seriously as our clients’ comfort is their 100% satisfaction with each and every service that we complete. That is why we employ some of the finest technicians in the industry, as well as work with some of the best products from some of the most trusted names in the business. When you hire our technicians to complete your heating, air conditioning, and indoor air quality services in Presto, PA, you will be completely satisfied with the results. Give us a call today to discuss the many ways in which we can help you to live in greater comfort. Boehmer Heating & Cooling offers heating, air conditioning, and indoor air quality services throughout Presto, PA.
Our winter weather can be pretty brutal, with temperatures dropping far below what anyone could right call "comfortable." That is why you need to have a good heater with which to heat your home. Of course, even the best heaters will falter if they are not installed and serviced by trained professionals. When you schedule your heating services with our team, you can count on getting a great performance from the heater upon which you rely so much. When something goes wrong with your home heating system, as something surely will eventually, you need to know that your hired technician will repair it with care. That is sure to be the case when you schedule your heating repairs with a member of our staff. We will diagnose the problem accurately, and resolve it expertly. The boiler has long ranked among the most popular of all heating systems, and it is easy to understand why. They don’t use forced air, which can help to protect against energy loss and indoor air quality issues by eliminating the need for ductwork. Plus, boilers are renowned for their incredible durability. Contact us if you think that a boiler is right for your home. Many homeowners prefer the swift heating power of the furnace to the gradual sensation of radiant heating. 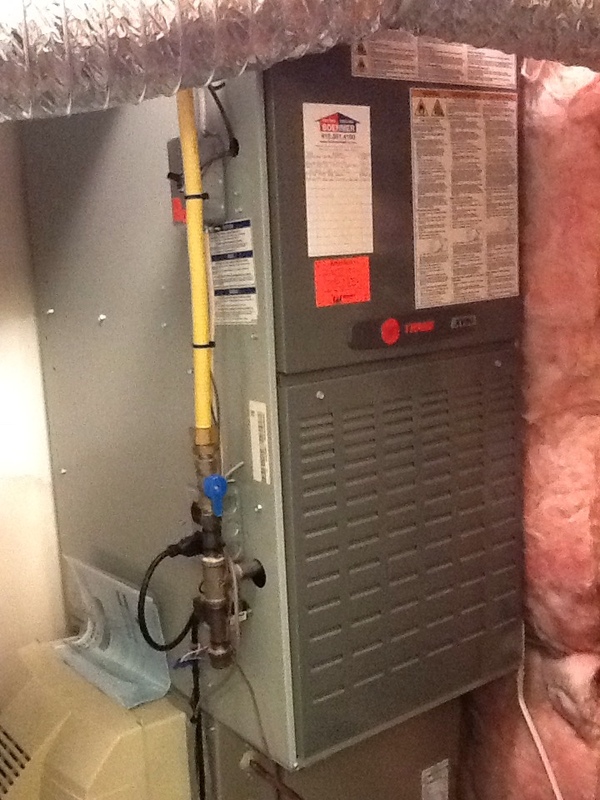 Just remember that your furnace must be of the right size for your home and professionally installed and serviced if it is to function properly. Dial our number to guarantee that your furnace gets off on the right foot. The major selling point of the heat pump is that it both heats and cools, and that it uses existing heat in the air outside in order to warm an interior space. This is an incredibly efficient method of doing so. In order to ensure that your heat pump is able to heat your home as effectively as it is efficiently, schedule your heat pump installation and services with a technician on our staff. The heat of summer is something that many people welcome with open arms. Just remember, though, that is a lot easier to enjoy the heat of the summer season when you know that you have a cool, comfortable home to return to. When you let us complete all of your air conditioning services, you can count on nothing less than a stellar performance from the air conditioner in your home. Contact us today to discuss the ACs available for installation on your property. Your air conditioner, regardless of make or model, is only going to function at peak performance levels if it is of the right size for your home and properly installed therein. Not only will our technicians take the time to ensure that your system is right fit for your living space, but they will also guarantee that your AC installation is completed with the utmost care. Is your air conditioner leaving hot spots throughout your home? Does it seem like your system is operating much louder than is normal? When it comes to your AC, there is no such thing as a problem too minor to warrant professional attention. If you notice anything at all wrong with your system, schedule air conditioning repairs with us immediately. Geothermal heating and cooling systems offer year round comfort by utilizing the same basic principles of an air source heat pump. However, rather than pulling thermal energy from the air in order to heat a home, a geothermal system will draw heat from the ground in order to do so. This can be quite beneficial, as the temperature beneath the earth’s surface is certainly much more constant than that of the air. We install and service geothermal systems. Could Your Indoor Air Quality in Presto, PA Stand for Some Improvement? If your think that maintaining comfortable temperatures in your home is all that is necessary for living in the comfort that you deserve, think again. There is also the issue of indoor air quality to consider. If your air is filled with pollutants, there is no way that you can live as comfortably or as healthfully as you ought to. Fortunately for you, our IAQ technicians can provide you with the products and services necessary for improving the quality of the air in your home. Common pollutants in homes may include dust and dirt, which can go airborne and be distributed throughout the entire house. An electronic air cleaner can help to remove such pollutants from the air. For biological pollutants, though, a UV air purifier may be necessary. We’ll make sure that you have the right air cleaner and/or air purifier installed in your home. 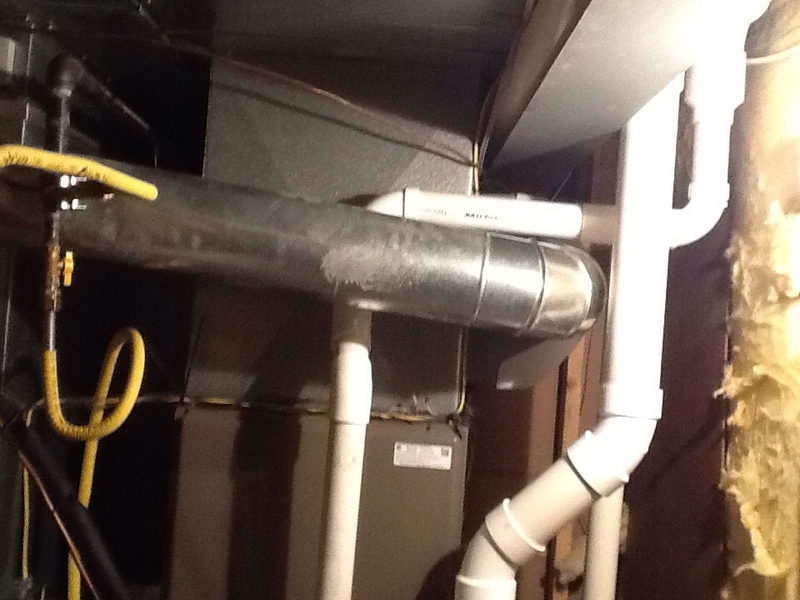 I am a repeat customer, having a yearly maintenance plan, they come twice a year and check my furnace and air conditioner . I have been dealing with them for over 12 years.This company has good honest people.Who do a great job for a decent price. And stand by their work. I request the one service man Ed, because he does such a good job. He is extremely knowledgeable friendly and honest. Really like dealing with Boehmer. They show up when they're supposed to, techs are polite and do a great job of explaining things. Highly recommended! I'm very happy with the service I receive from Boehmer heating and cooling.The technician ED was extremely efficient. 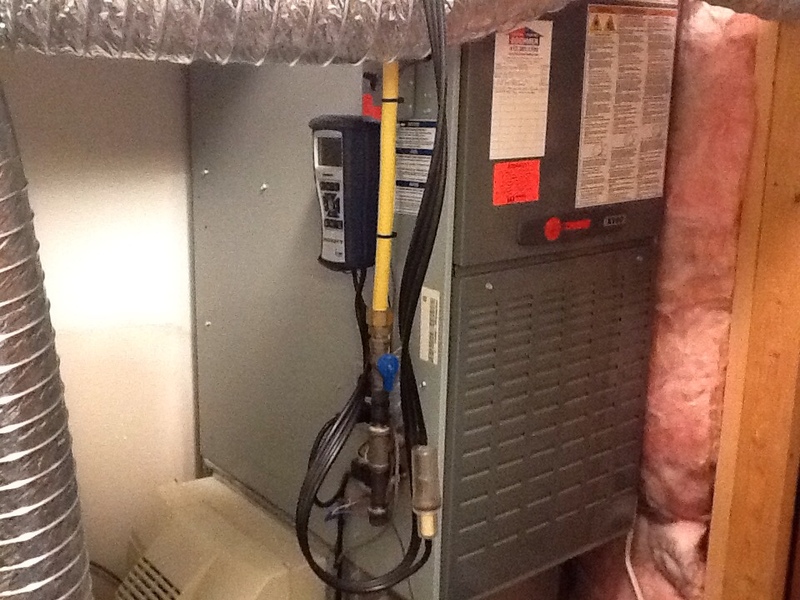 I get annual maintenance on my heating and cooling system and continue to be a repeat customer. Came when they said, did the work quickly, didn't try to upsell me unnecessary services. Will definitely continue to call them when needed. 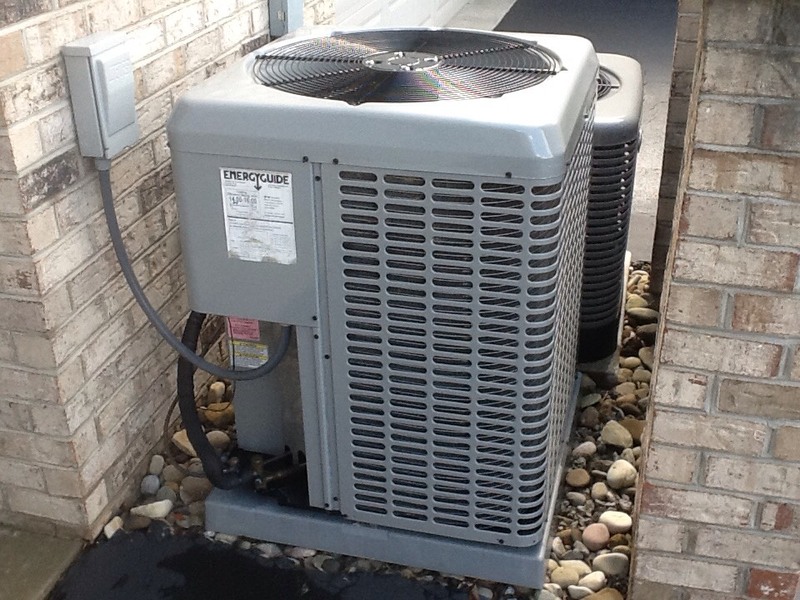 I have the maintenance agreement I get the furnace and air conditioner checked every year the service technician is Ken,he's very knowledgeable, dependable, prompt &very personable. Ken, as always, was very thorough. He pointed out that my furnace which is now 12 years old had recently lost 1% efficiency but was still operating well. Ken reviewed with me the need for me to keep my fan on all the time since I have the April Air unit and he also replaced the thermostat batteries. I had questions regarding efficiency improvement re the installation of insulation in Aug. and other measures to improve energy efficiency. Ken reviewed relevant gas bills and showed the reduction in my usage. He also urged me to get glass doors for my fireplace and adjust the closings on my from and back doors. I did note to Ken that the downstairs bedroom is warmer. In all Ken's work and ability to interact with customers is superb! Showed up on time, did the job, and didn't try to scare me into buying additional services. Will use these guys again. Very pleased with the service and Ed was very courteous and professional. Thank you. Boehmer is the best ever. Service is great and senior technician explained everything in terms I could easily understand. 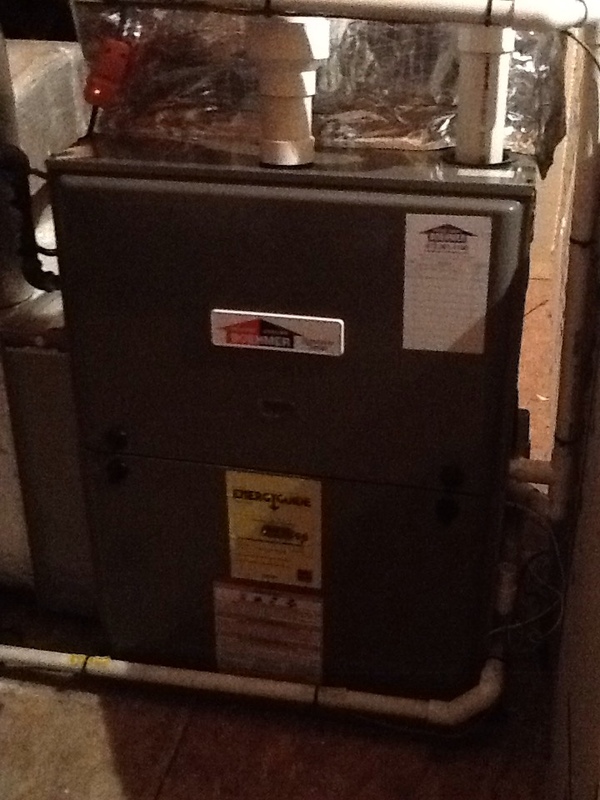 Plus agreement heating check up on 2 furnaces. 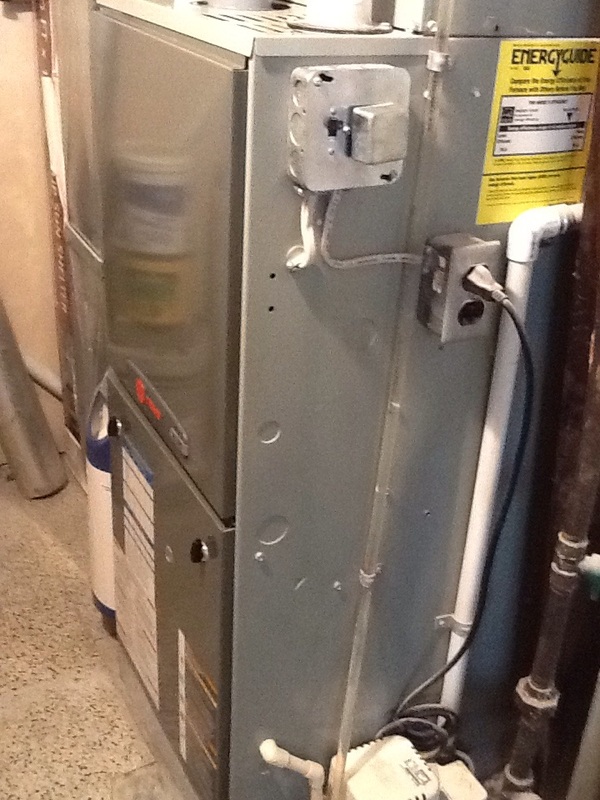 Plus agreement heating check up on a Trane furnace. 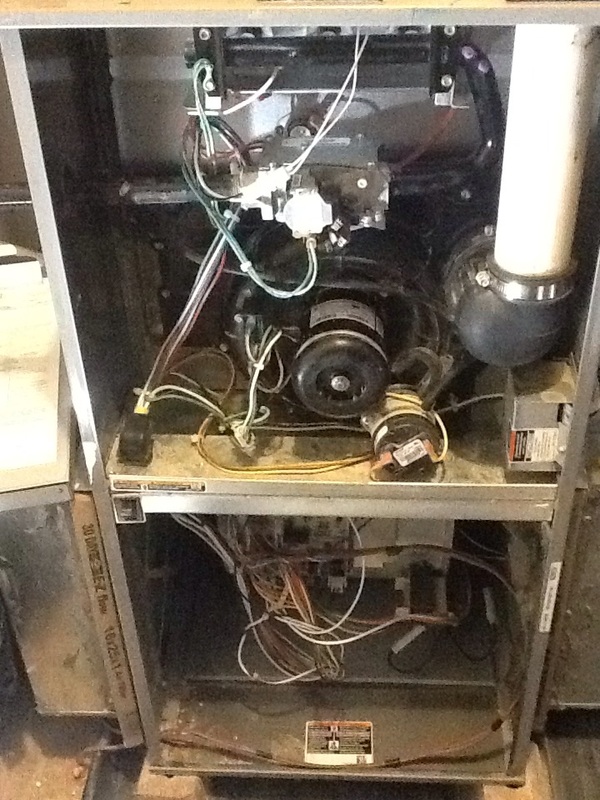 Complete precision tune up of a high efficiency Tempstar furnace. 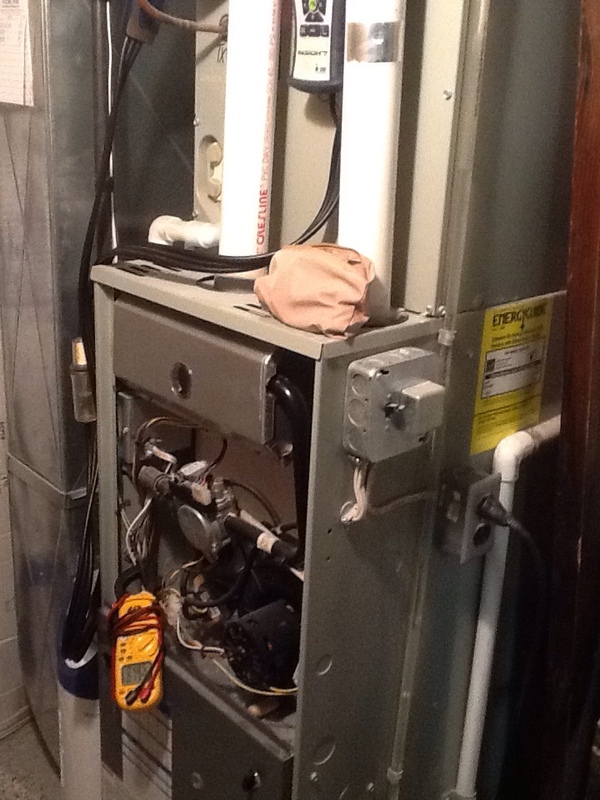 Complete repair to Bryant furnace, replace motor and capacitor. Leak search, ordered new Evap coil.